I have no idea how I stumbled upon your blog, but I have been watching your images for a while now. Lovely! 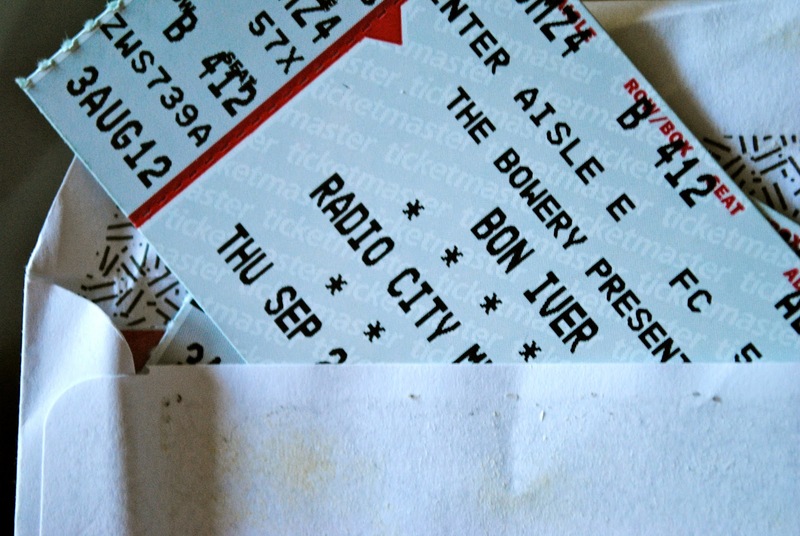 I've never commented before, but I had to today, to say...You already received your Bon Iver tickets? Wah! I ordered them, too, and have been WAiiittttttting. Maybe today is my day. @Tara, yes! they finally came over the weekend! crossing my fingers for you! i can't wait for fall too--the scarves; the boots; the crispness in the air. and i will never forget my first shooting star it was amazing! So jealous your going to see Bon Iver!! Have fun and take some pics so I can pretend I was there. Great pictures. Love the Bon Iver tickets!